All three of these records probably had full color sleeves because most of the “Tip” and “Tempo” records that I have do. Some teenager must have thrown them away some 40 years ago. I paid 50 cents for each of them at the flea market that is happening every Saturday across the street. 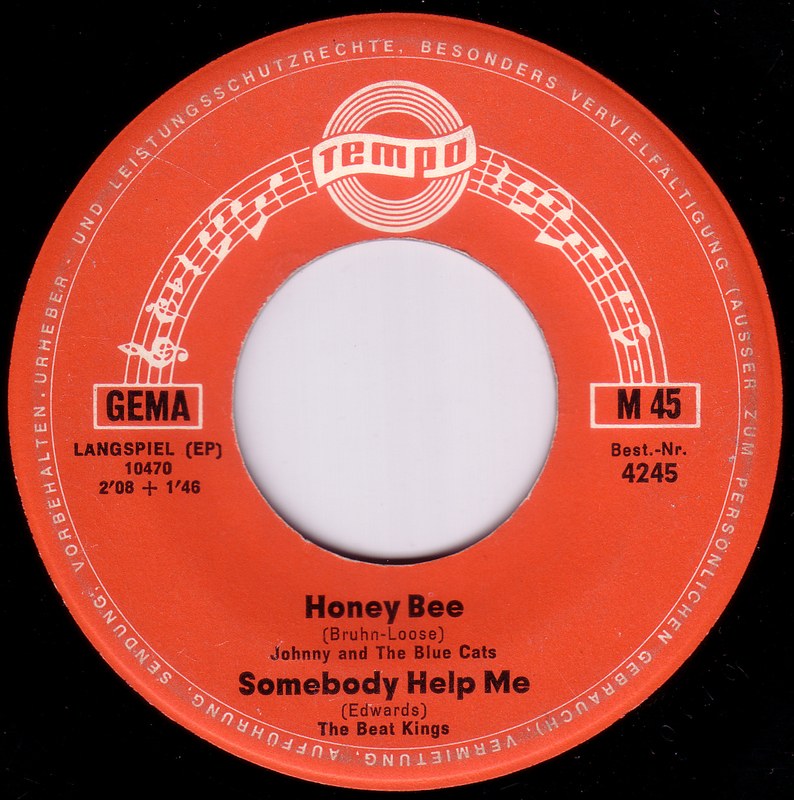 “Honey Bee” was originally recorded by Drafi Deutscher and his Magics, “Somebody Help Me” by the Spencer Davis Group, “Sha La La Lee” by the Small Faces and “The Sun Ain`t Gonna Shine Any More” by the Walker Brothers. Check out those great fake Beat band names! Who wouldn`t want to be called Johnny Smash. oh, wie wunderfein! sha la la lee und all diese songs…..du beatest allllllllerbestes…….!! Bei Interesse kann ich Dir scans vom Cover dieser Single und der Tip- EP mit Tony Tornado senden, dann bräuchte ich allerdings eine mail- Addresse von Dir. Darf man ev. nur eine Antwort pro Eintrag schreiben ? ?